Rainbow Dust Colours — Food Art Pen! Rainbow Dust Colours food art pens come in 21 different colors. They're double-ended, with one side featuring a 2.5mm nib for regular work, and the other featuring a 0.5mm nib for fine detailing. Use these food art pens to draw flat decorations, to color raised areas and 3D cake decorations, to highlight features onto decorative models, and anything else your imagination can conjure up. The possibilities are endless! For more creative dessert ideas, visit www.rainbowdust.co.uk. Take pastry decoration to a whole new level using the Rainbow Dust Colours food art pen! Available in 21 colors, this double-ended food art pen features a 2.5mm and 0.5mm nibs for regular work and fine detailing. Check out the video to learn more. 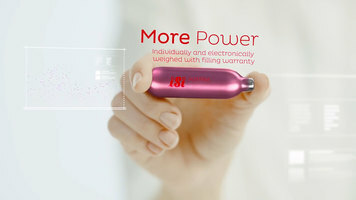 Check out the new and improved features of the iSi professional charger by watching this video! 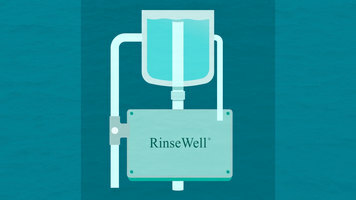 Check out this quick video to learn how you can save water, energy, and money by using the revolutionary RinseWell dipper well controller from Nemco! 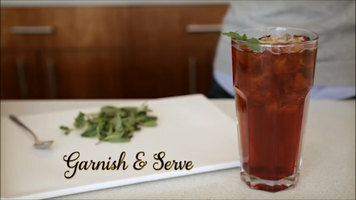 Learn how to easily create mouth-watering lemonades and teas with this step-by-step video by DaVinci Gourmet! Whether you're making it by the glass or the gallon, these flavored drinks are sure to become a favorite in your restaurant or bar.